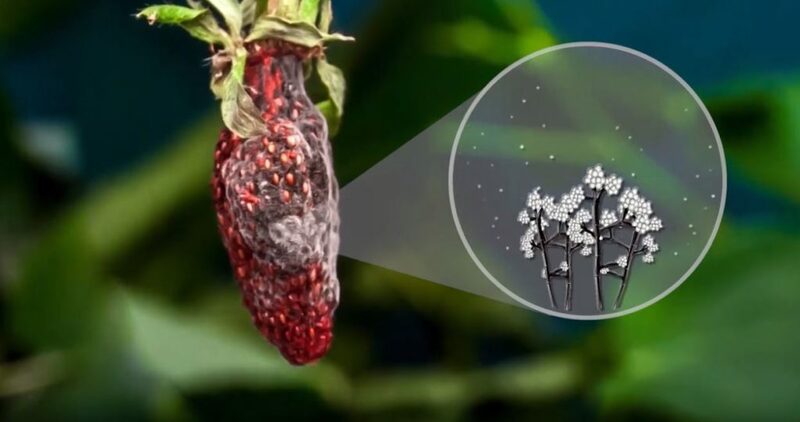 Great video funded by Southern Region IPM Center: Strawberry Gray Mold: An Animated Disease Cycle. Learn more about gray mold (Botrytis cinerea) on strawberries: what it looks like, where it comes from, and how it spreads. Most importantly, learn some tips and tricks for more effectively managing this fungus in the field.